The island of Tjörn, located in Western Sweden, is home to enchanting fishing villages that attract flocks of tourists each summer, thanks to the warm temperatures and vast expanses of sea to drop a boat into and set off into the late sunset. In keeping with the outdoor exploration encouraged in this region, Sculpture at Pilane offers a different way to take in the fresh air. 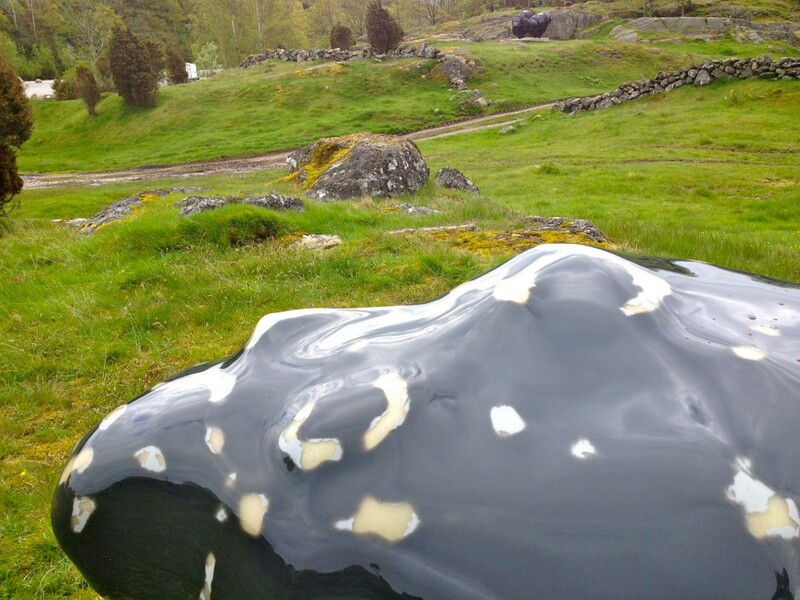 A mix of contemporary art and ancient history, the summertime outdoor museum is not only a lesson in Sweden’s Viking roots, but also a beautiful exhibition of art set against rolling emerald green hills speckled with granite outcroppings. 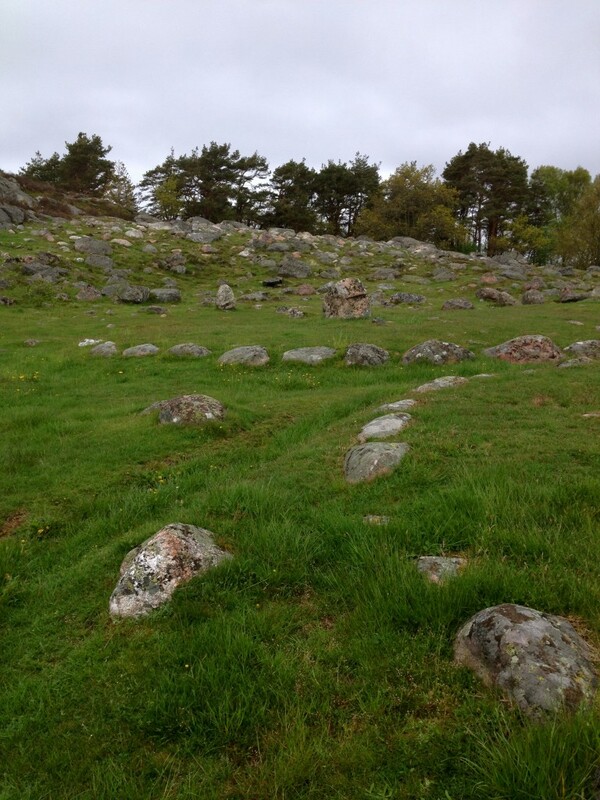 During the Iron Age, this spot was used as a meeting place, and today, visitors can witness the past thanks to the 100 circle graves that date back to the time of Vikings, more than 2,000 years ago. Today, the area merges old with new, and invites artists from all over the world to create sculptures and place them against this lush landscape. 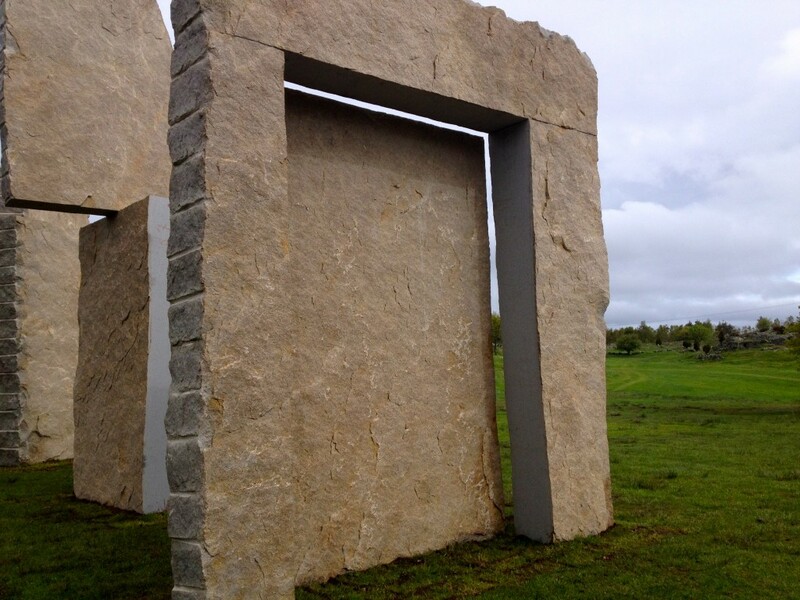 The sculptures, set against the vibrant green grass and granite, pop. 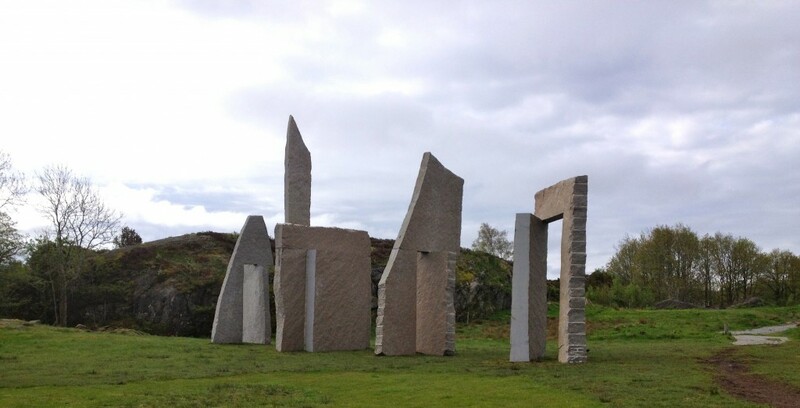 Each summer, Sculpture at Pilane opens its little admissions shed and offers visitors a chance to explore this spot that overlooks the Gothenburg archipelago. This year, the annual exhibition features nine international artists. The largest installation, Temple, by China’s Zhang Huan, will sit atop the rocks, allowing visitors to explore a recreation of a Chinese temple, along with spectacular views of the water below. 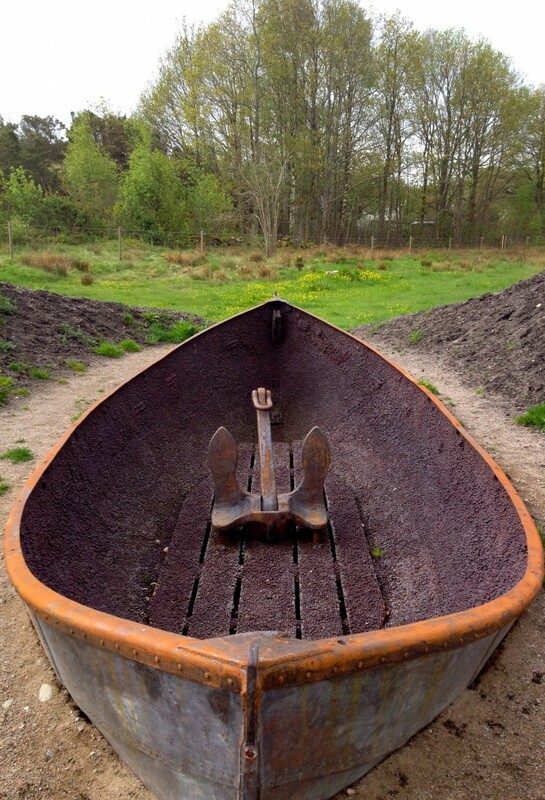 Other pieces include American artist Keith Edmier’s “You Gotta Go Out, You Don’t Have To Come Back.” For this piece, he took the remains of a boat which sunk near Chicago and transported it to Sweden. He pays homage to the Viking ritual of burying the dead in the boat. 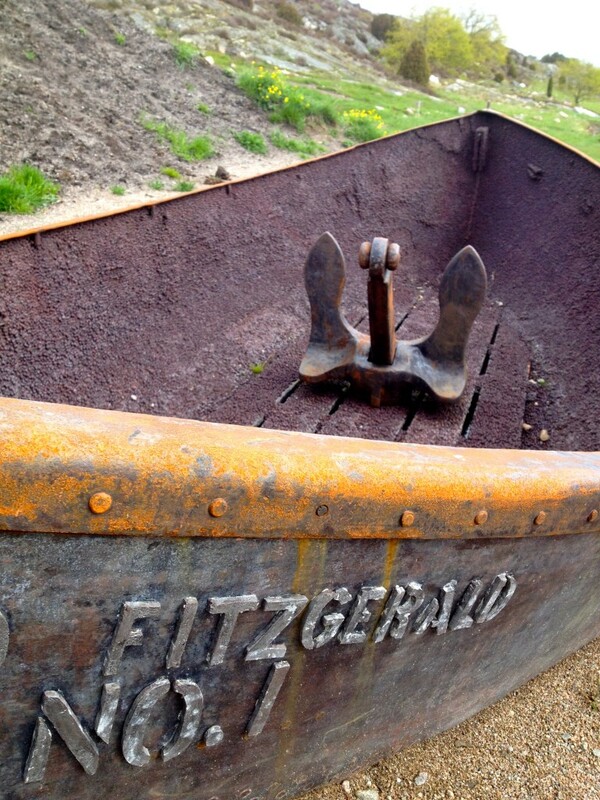 This year, the boat sits with the mounds of dirt surrounding it. Next year, according to Lennby, they hope to bury the boat in this spot. Swedish artist Claes Hake recreates Wall Street in this immense granite installation. Created by waste, this fiberglass piece is by Germany’s Wilhelm Mundt. Known for his work in this medium, Trashstone 306 is one of many he has created thanks to recycling waste. 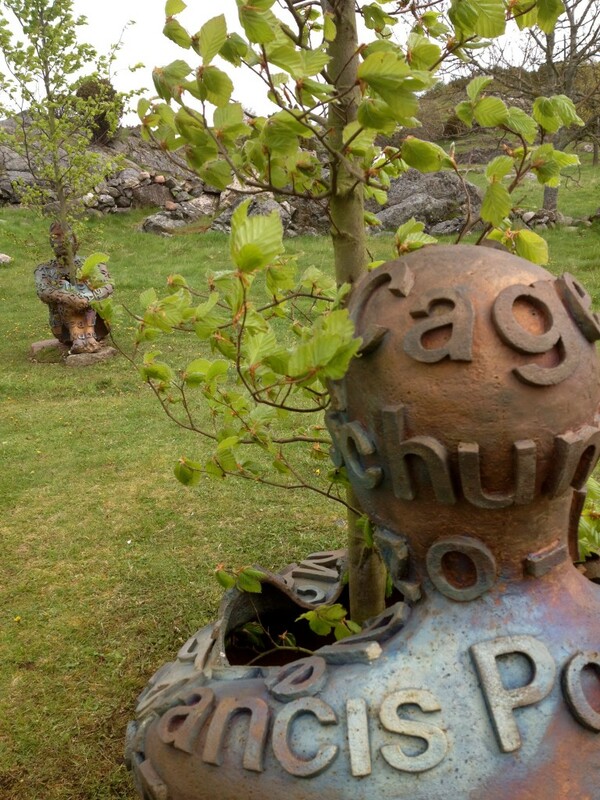 Bronze and trees combine in this piece, “The Heart of Trees,” by Spain’s Jaume Plensa. In the distance, United Kingdom’s Tony Cragg’s piece, “Point of View,” made from bronze, sits perched on higher ground. Getting there: From Gothenburg, head on the E6 towards Oslo. Exit at Stenungsund and follow signs to Tjörn. Cross the Tjörn Bridge and turn left at the light. Follow 169 towards Skarhamn. At the Wallhamn crossroad, turn right towards Kallekarr and Krykesund. Pass Kallekarr and then follow the brown signs for “Pilane Gravfait” towards Kryreksund. Cost: 80 sek for adults; 15 and under are free. That one, along with the boat, were my favorites. In person, the people holding the trees is so much more impressive than any photo can convey. Really interesting juxtaposition of new art against the history of the area. This is so cool! I love large art installations like this (my favorite form of art, in fact), and Pilane is such a wonderful place to put them. It really is a great place for them. They truly pop and let people appreciate not only the history, but the present and the surroundings, too. So true these sculptures are well displayed outdoors, especially set amongst all the lush green. It really calls attention to them! I missed it the first time I was driving and ended up way up the hill. 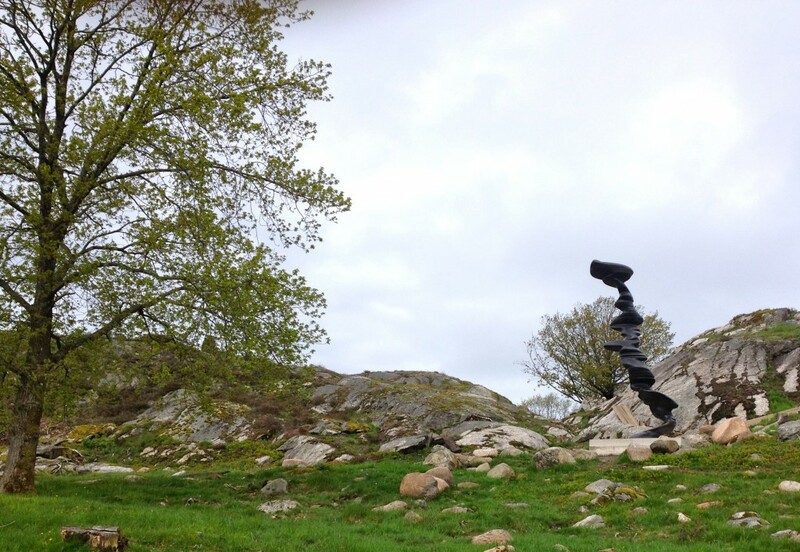 But, on the way back, it was hard not to miss the sculptures dotting the landscape. So much green, looks like my ideal kind of place for a day out! So lush!!! Had the weather not been nasty, it would have been such a beautiful walk! Although, it still was beautiful! I have to visit this place, it looks so cool!!!! That looks really cool! I’ve never been to Sweden, but I’d love to. Adding this to the list! Definitely! It is worth it! How wonderful! As an artist and a traveller this post held great appeal to me. In Vancouver, Canada we have an International Sculpture Biennale ( http://vancouver.ca/parks/arts/sculpture_biennale.htm ) which I adore. I especially enjoyed your photo of Jaume Plensa’s work since one of my fav during the last Biennale was his piece, “We”. I loved the juxtaposition of ancient with modern sculpture, which could very well be the “ancient art” 100 years from now. Thank you for sharing such an interesting event. Thank you for taking the time to comment. I really like how old an new merge together on the grounds at Pilane. Plensa’s piece is gorgeous! What a cool place! I know of heaps of interesting things to see in this part of Sweden, but I’ve never heard of this one… even though I’m just a few hours north. It was really cool! I only wish the weather had been better! But, still, a great place to spend a morning wandering when the sun is out! I loved looking at all these pictures! I recently went to a sculpture garden in Jerusalem and loved it! Thank you! I haven’t been to many sculpture gardens like this … it was really lovely! Cute place! I always find myself roaming places like this for far too long. Had the weather been a bit nicer, I am pretty sure I could have spent a long time there! I love outdoor art like this. 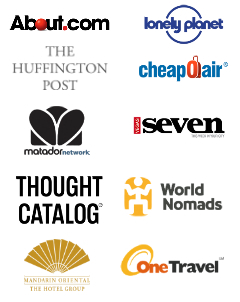 Looks like a great place to visit! 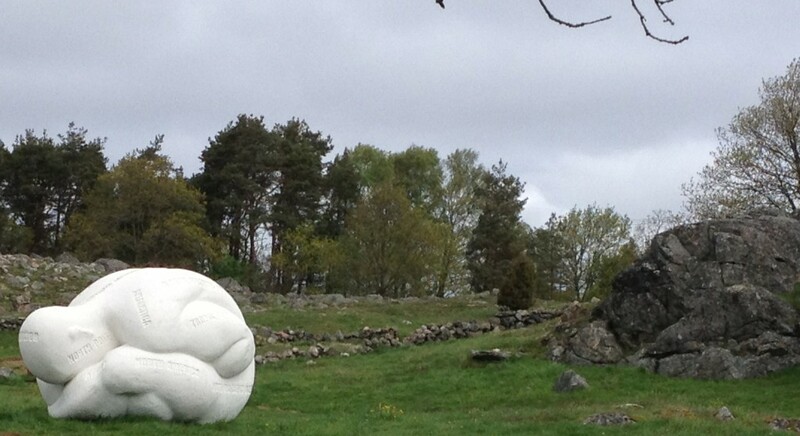 Very interesting how the art from Sculptures at Pilane ties into Sweden’s history. Thanks for sharing these amazing photos as well.